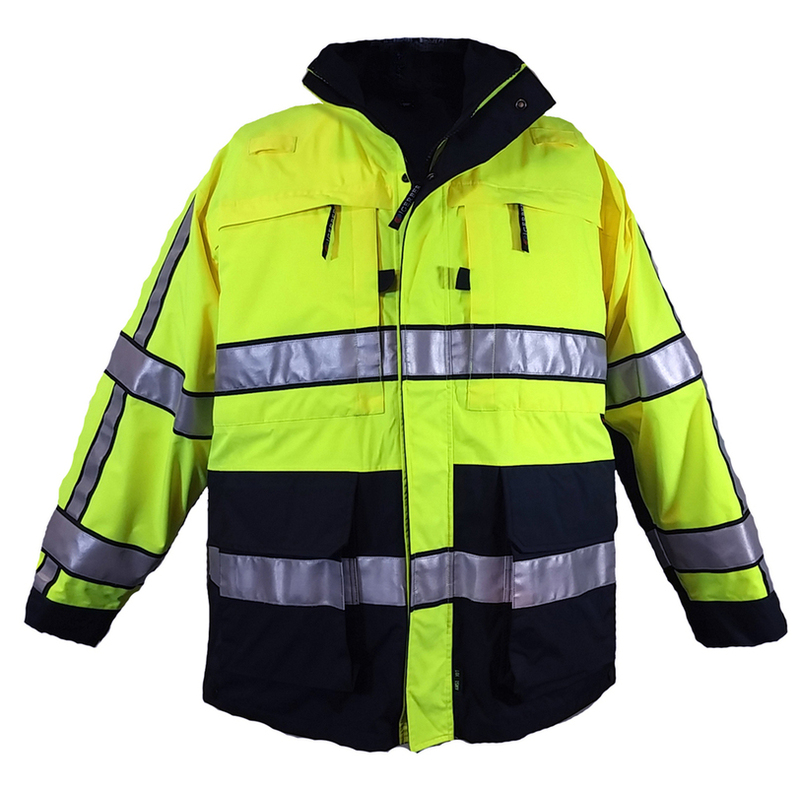 Waterproof breathable ASTM F 1671 Blood Born Pathogen Resistant BioTex outer shell. Navy/LIme Yellow Two tone design is ANSI 107 Class 3 with Scotchlite Striping. Spacious set in chest pockets , hidden radio pockets and lower cargo packets. Concealable hood. Dual interior zippers accept a variety of Interchange System Liners. Side Equipment zippers for access to gear and pant pockets. Two way lower cargo pockets. Hidden zippered Cross draw set in chest pockets. Radio pockets below faux yoke on both chests with zipper closures. Interchange zipper system allows the attachment of the Scout Fleece, Sigma Two Tone Soft Shell or Warrior Soft Shell Liner Jackets to create a 3 in 1 system jacket.